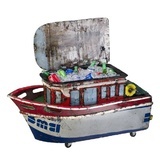 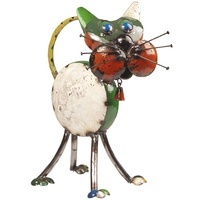 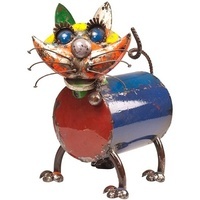 This EEIEEIO Buster the Bin Metal Animal Outdoor Sculpture is an attractive feature for Indoor or Outdoor Patio area. 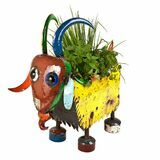 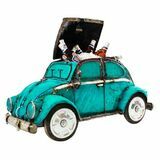 Add colour to your backyard and put an end to the boring stainless steel by making a statement with this quirky and arty piece of sculpture. 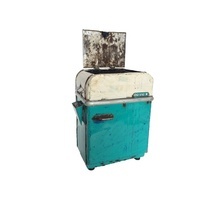 With a flip top lid Buster is made from recycled 44 gallon drums making him the ultimate recycler for your garbage. 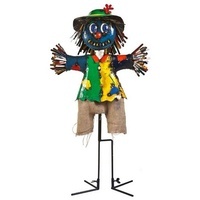 Give your BBQ guests something to talk about and adopt Buster now.